AOCS (American Oil Chemists' Society) your forum for fats, oils, surfactants, and detergents: Jobs! 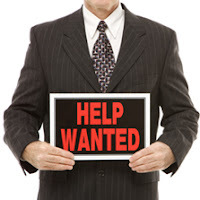 AOCS has experienced a flurry of new job postings this month. So rather than posting them in 'News and Notes' I decided they deserved a dedicated posting. You can find numerous job postings through AOCS Career Services (where you can also post and view résumés -we have services for both job seekers and employers.) Other jobs from related individuals and organizations also appear on our family of social networking sites. Visit our LinkedIn group, Facebook Fan Page, and Twitter feed to find these jobs. Eurofins QTA, Inc is searching for a Analytical Services Account Manager. Eurofins also has a need for an Analytical Services Account Manager in Dallas. The Northern Crops Institute is searching for a Director of Technical Services and Business Development. Cargill is looking for a Food Scientist in Colorado. A Specialty Food Oil Manufacturer is looking for a National Sales Manager. LDM Foods is searching for a Refinery Superintendent. Kemin Nutrisurance is searching for a R&D Director in Iowa. Superintendent and Associate Professor of Plant Pathology is sought by the Department of Research Centers at Montana State University. Assistant Professor of Nutrition and Gut Health is sought by the Department of Food Science at the University of Arkansas. Good luck and remember you can post your open position as well as post and view résumés with AOCS Career Services where it will be seen by top professionals in the industry.